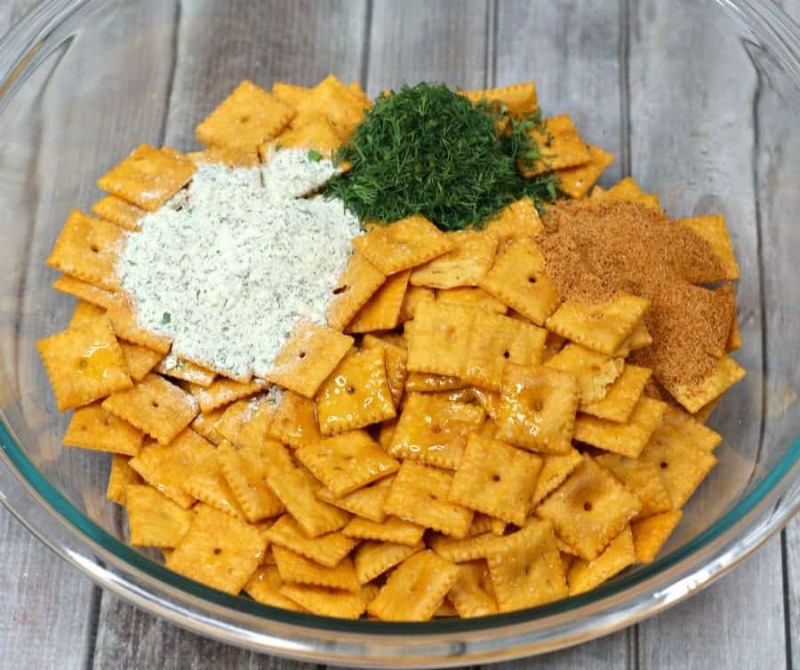 Make easy dill ranch cajun crackers with cheese crackers, ranch dressing mix, dill and cajun seasoning. Ready in just 15 minutes! 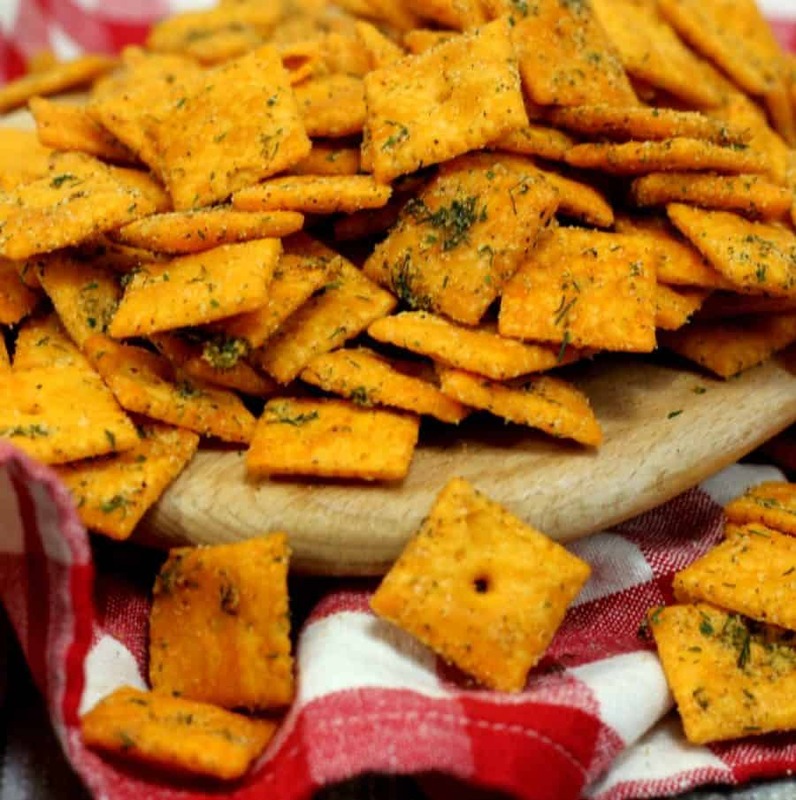 We love to make homemade cheese crackers. They are really easy and fun to make. But like most kids, my kids love cheese crackers. Whether they are in the shape of little fish or little squares, these little snacks are popular among the under 3 feet crowd. We've all had our fair share of these crackers when we're hungry, too. But sometimes you just want a snack that's a little more mature than cheese crackers. 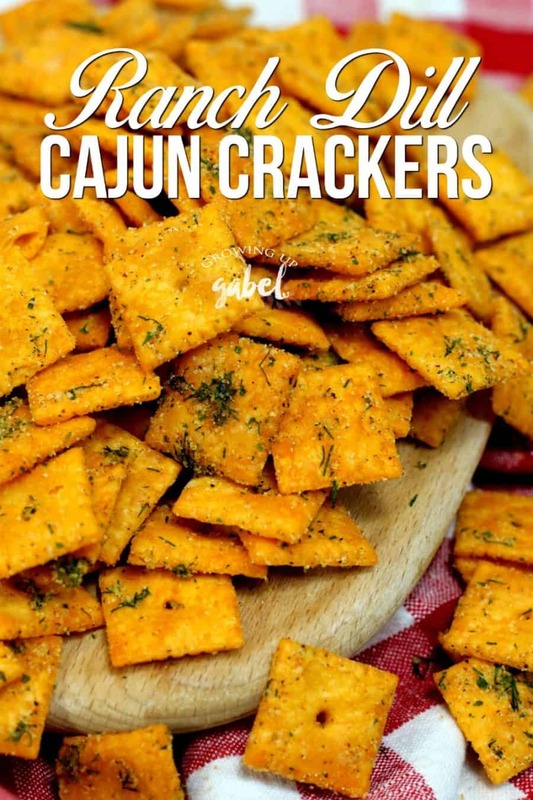 These cajun crackers are perfect for an afternoon or evening snack. And they are ready in just about 15 minutes. The base of these crackers is a box of square cheese crackers, but you can just as easily use little fish crackers. Ranch Dill Cajun Crackers are great for taking to parties, on game day, and even as easy homemade gifts. Serve these up with some Dill Pickle Dip! Preheat oven to 350 degrees and line a cookie sheet with parchment paper for easier cleaning. But you can also just make them right on the cookie sheet. Combine the oil, dill, ranch dressing and cajun seasoning in a small bowl. Use any oil you prefer. We like olive oil or coconut oil. 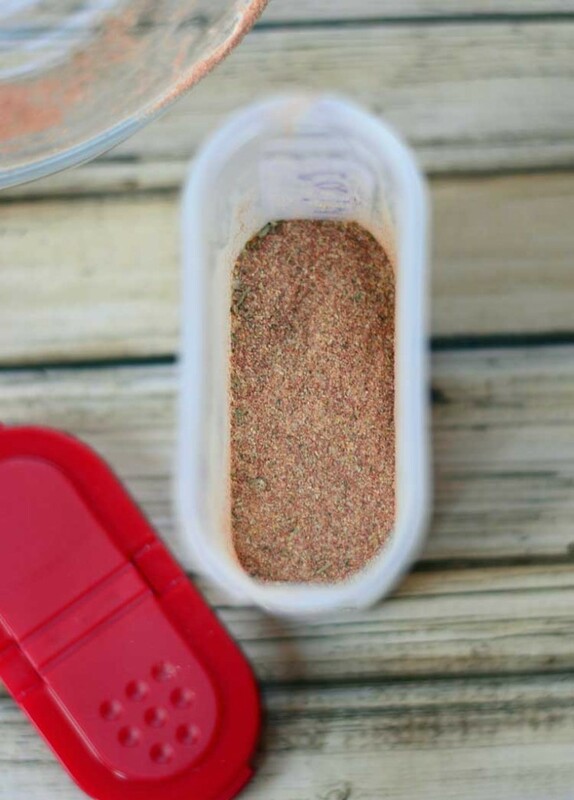 You can make your Homemade Cajun Seasoning Mix, too. Whisk all the ingredients to combine. 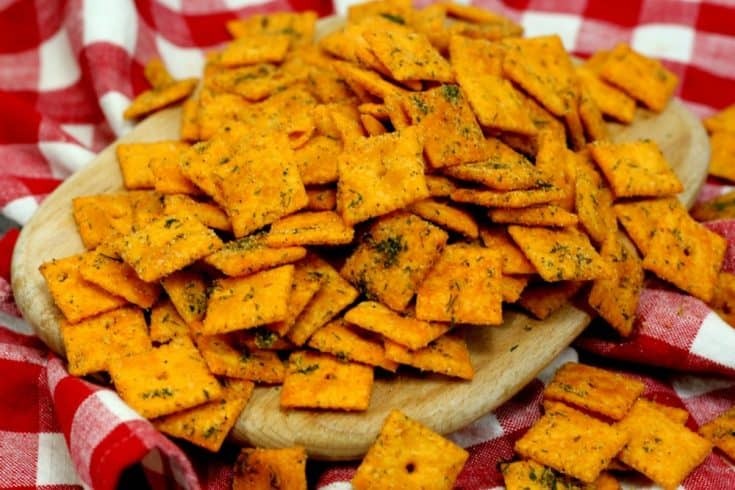 Empty a large box of the square shaped cheese crackers into a large bowl. Pour the seasoned oil over the crackers, tossing and stirring to coat the crackers thoroughly. Carefully pour the crackers onto the prepared cookie sheet. 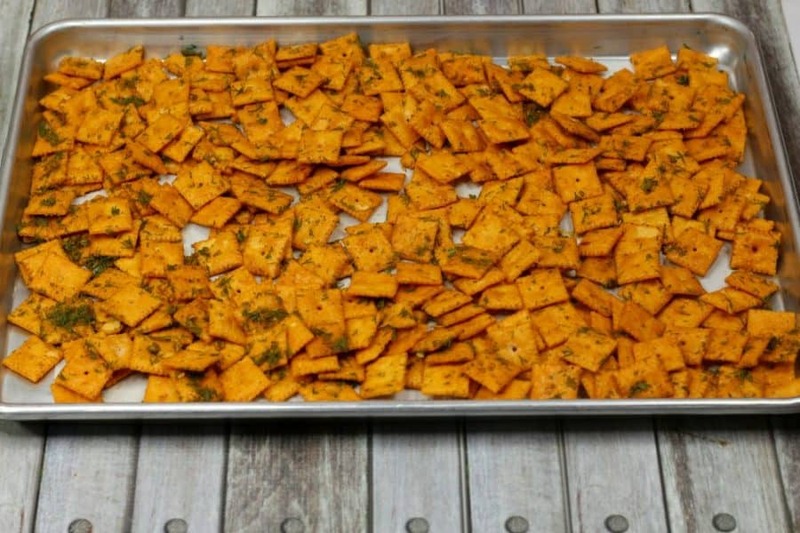 Bake the crackers for about 10 minutes until they are a little brown and you can smell them. Stir every few minutes with a rubber spatula. Remove the crackers from oven and let them cool. When completely cool store in an air tight container. Preheat oven to 350 degrees and line a cookie sheet with parchment paper for easier cleaning. 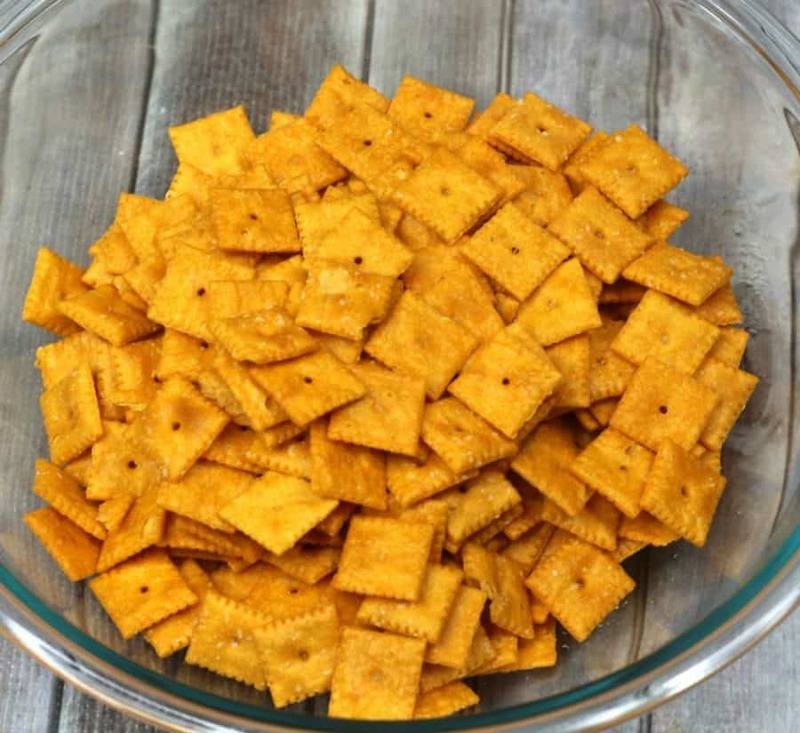 Empty a large box of the square shaped cheese crackers into a large bowl. Pour the seasoned oil over the crackers, tossing and stirring to coat the crackers thoroughly. Carefully pour the crackers onto the prepared cookie sheet. You can use an oil you like. Also free to use fish shaped cheese crackers instead of the square kind.